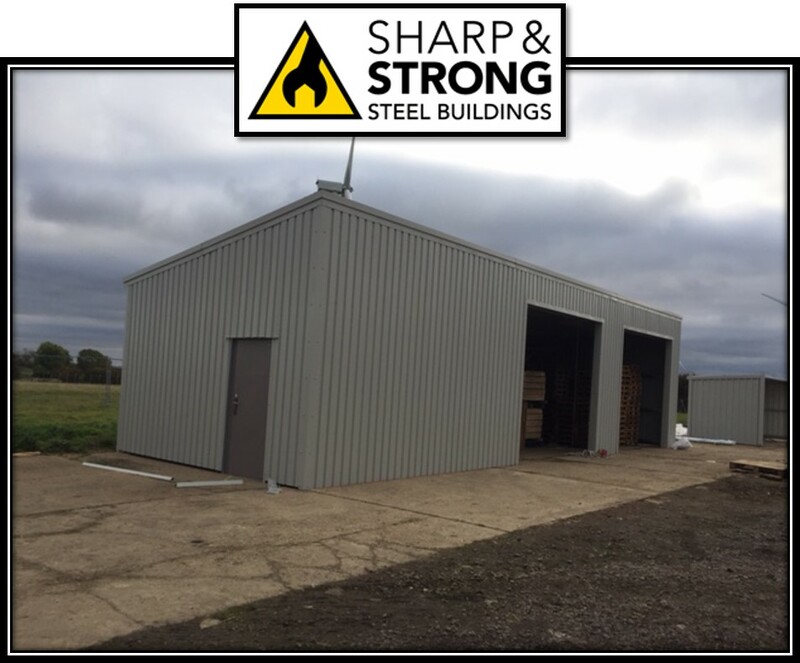 T-shaped steel industrial building has just been completed in Bedfordshire for our Client. 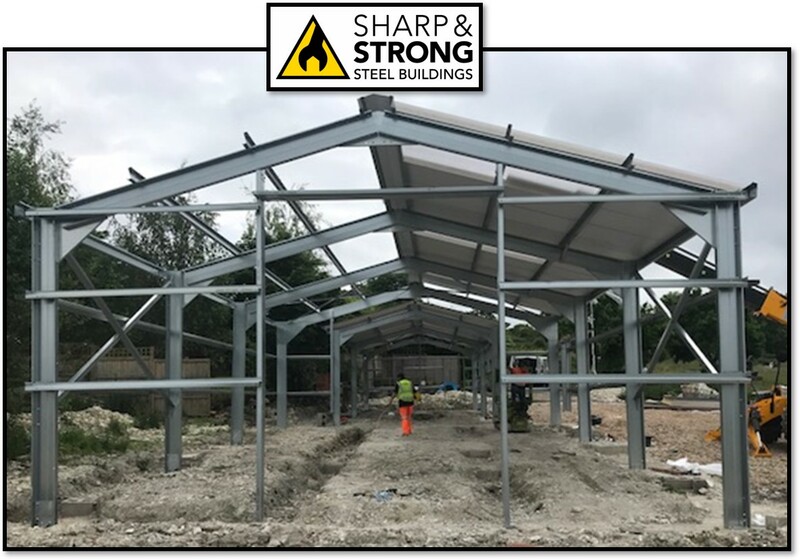 The structure consists of two steel framed buildings joined together with an internal connection to use as a Warehouse and an office area. This building is the larger of the two at 14.78 meters long x 9.5 meters wide and 3 meters high to the eaves. With one insulated steel lath roller shutter door at 3 meters x 3 meters. Also, one personal access door to be used as the Clients Warehouse. Vandyke Brown 115mm Core composite roof panels and 100mm core composite wall panels were used with a 600mm brick wall surround. An office building of 11.52meters long x 6 meters wide and 2.5 meters to the eaves. Consisting of 5 Aluminium double glazed windows and 1 glazed Aluminium door. Again, with Vandyke Brown 115mm Core composite roof panels and 100mm core composite wall panels were used with a 600mm brick wall surround. 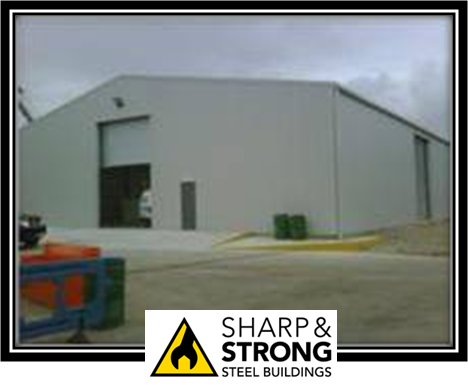 Steel buildings are very versatile and make the perfect warehouse / office building for any industry. 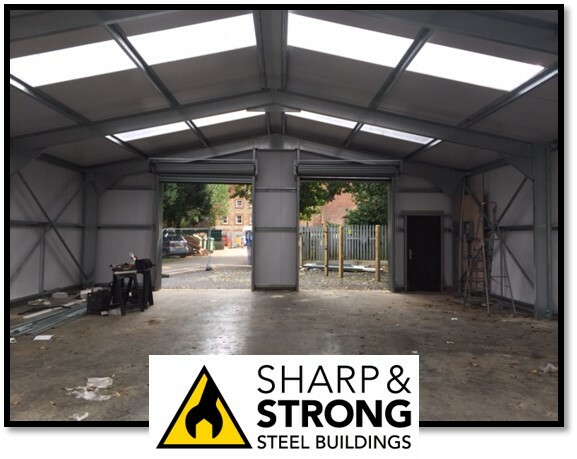 Our Industrial steel buildings can be designed to any length with a pitched roof or a mono sloped roof. Span up to 20 metres and eaves height of up to 6 metres. 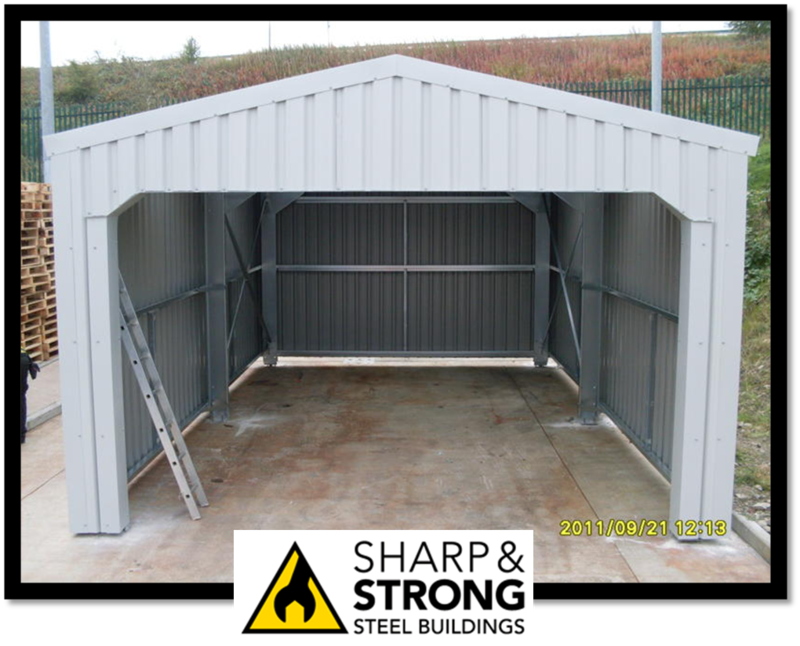 We can also supply lean-to’s to attach to your new steel building or to an existing building. 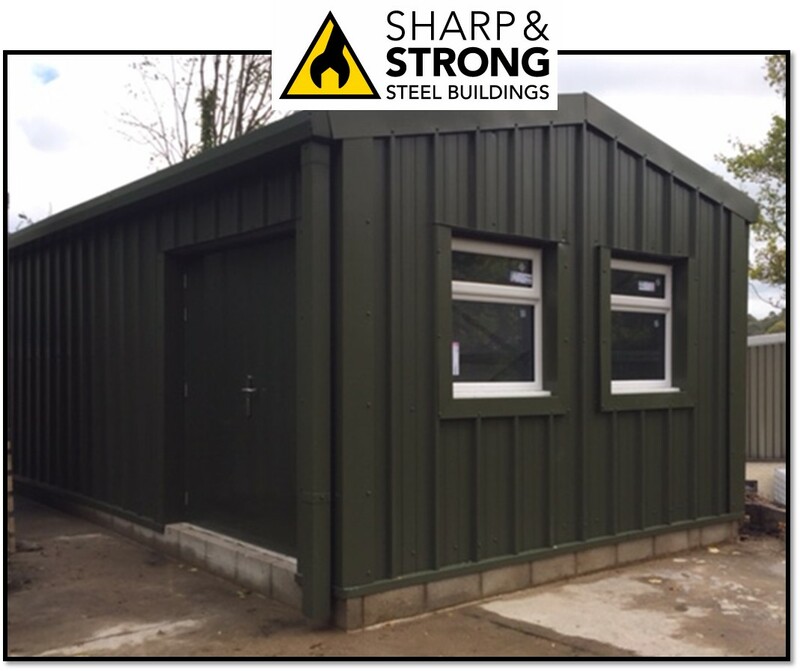 Industrial steel buildings are not supplied from stock but each is designed bespoke to the customer’s requirements. So whatever the customer needs, Sharp and Strong will have a solution. 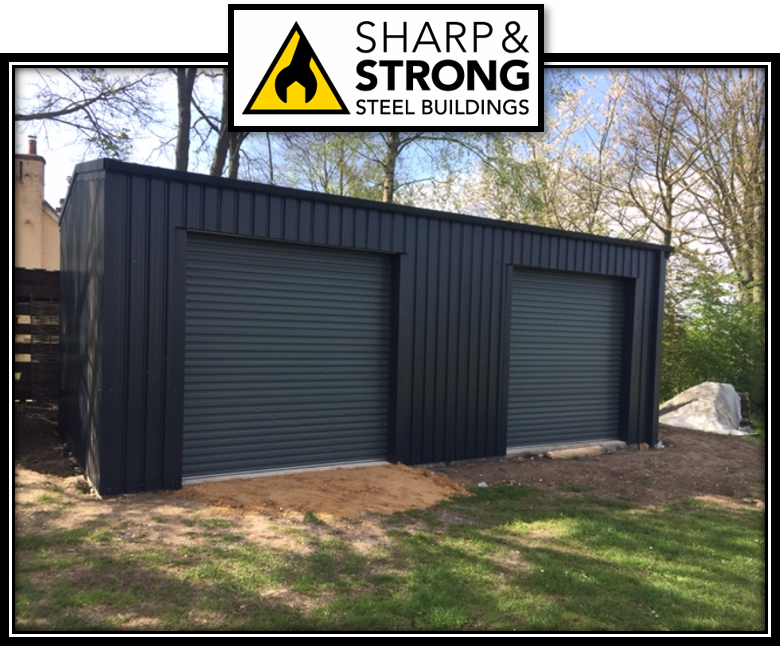 Whether it be a small domestic steel garage or a large industrial steel unit such as this one. 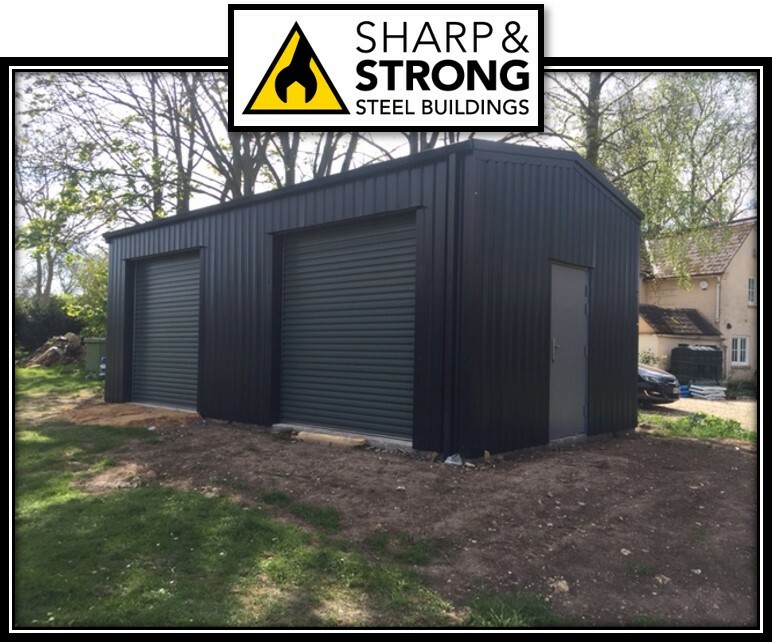 Steel Building kits are delivered within 4 -5 weeks of order placement to any location within mainland UK. 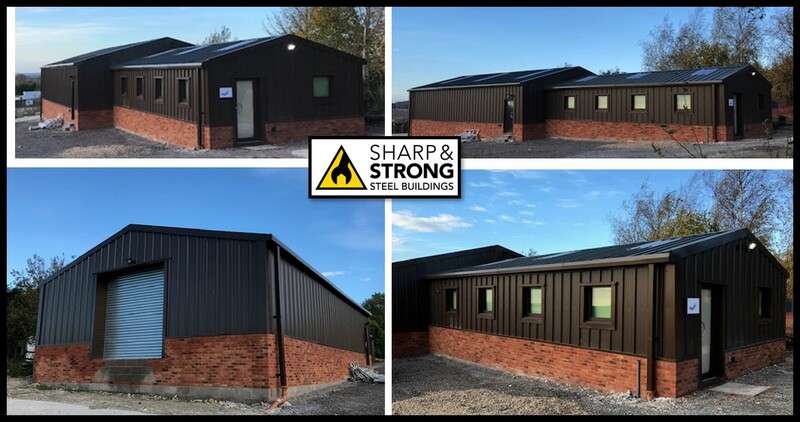 Our team of experts are here to help design your new steel building to meet your specific requirements using the state-of-the-art software to quickly produce quotations, drawings, and engineering information. Structural calculation packs can also be obtained for your design. You are assured of a fast, efficient and personal service. 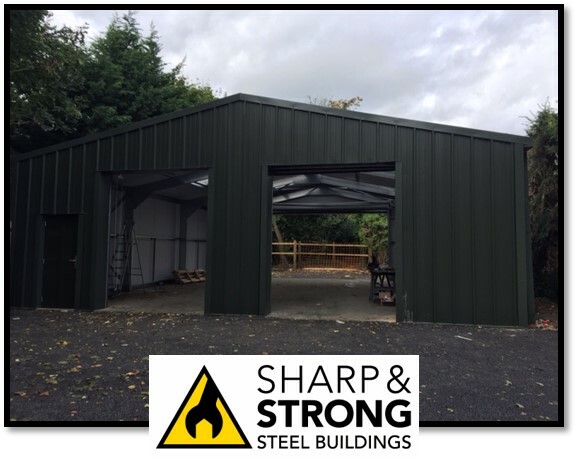 Contact us now on 0800 328 5247 to discuss your new steel building project.